There was a Great Gatsby, Alexander the Great, the Greatest Boxer of All Time, Mohammad Ali, the Great Wall of China and yes, the Grateful Dead. But in my humble opinion, the Great Zinnia takes the cake. 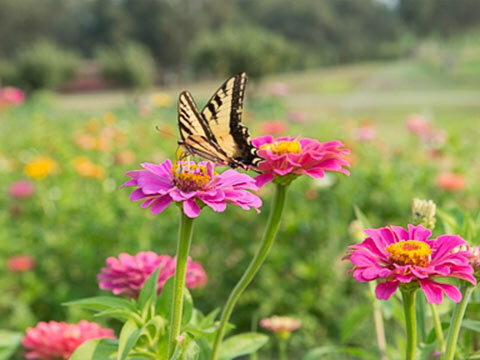 Let me make my case for the Great Zinnia. We’re talking about the hardest working flower in the summer garden, just to get you up to speed here. 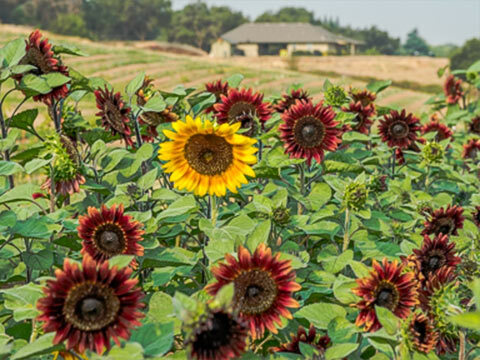 They’re great because they are low maintenance, heat and drought tolerant and come in bright colors. I think they’re the best flower a smart gardener can put to work in their gardens. We grew zinnias at Maple Rock this year as a trial and found them incredibly easy and beautiful. 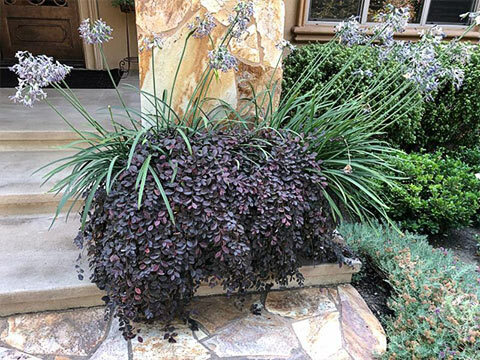 Lots of people come to High-Hand and ask for a great summer blooming plant. I never thought of zinnias. Can’t tell you why. 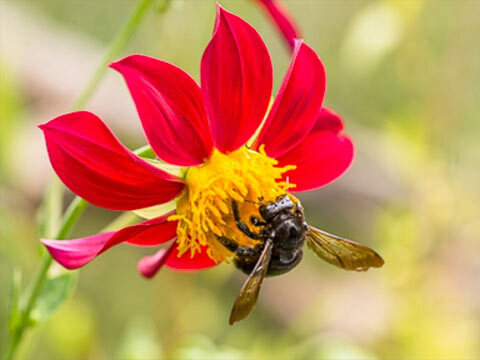 Actually I think my mind is so fixated on perennial flowers (a flower that comes back year after year) that zinnias got dropped out of my vocabulary. 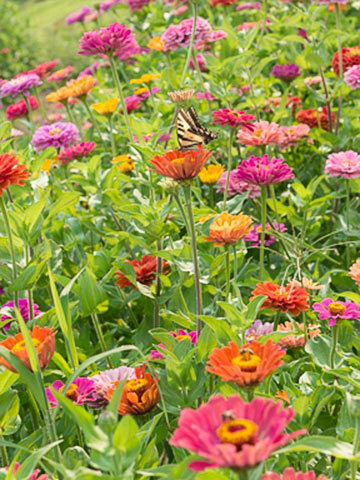 Zinnias are an annual, meaning you will have to plant them every year. 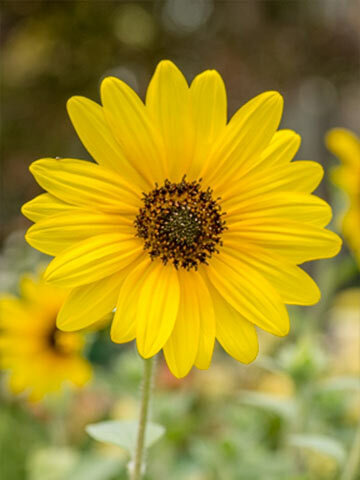 But don’t let this discourage you because I guarantee they will provide the least amount of work and the most happiness in your garden. Zinnias work fast. If there is an easier flower to grow, I’d like to know about it. Since they are an annual they come up from seed very quickly. If you’re a basic gardener this plant fits your requirements. Plant them in full sun and lots of summer heat and in just a few weeks you’ll have flowers powering up. No perennial can claim that speed. They come in every color. Since they’re fast growing and low maintenance they make cut flowers. Did I say they make great cut flowers? Ask these folks if they do. We might have a Zinnia pop up day at Maple Rock. A date to be announced soon. We have a few left after the last pickings. There’ll be no fanfare. Just bring your clippers and a picnic lunch and your own toilet paper in case the outhouse runs out. Keep an eye out on Instagram, Facebook and our website to keep up to date on the pop up. I’m thinking the 3rd week-ish of October. 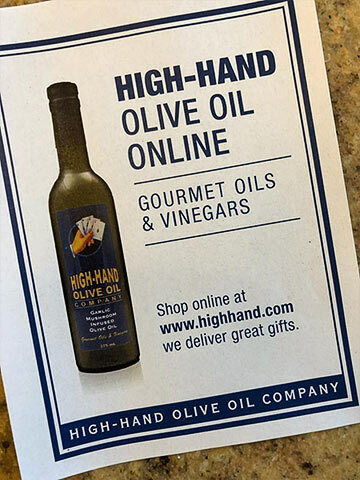 What other great things are happening at High-Hand? 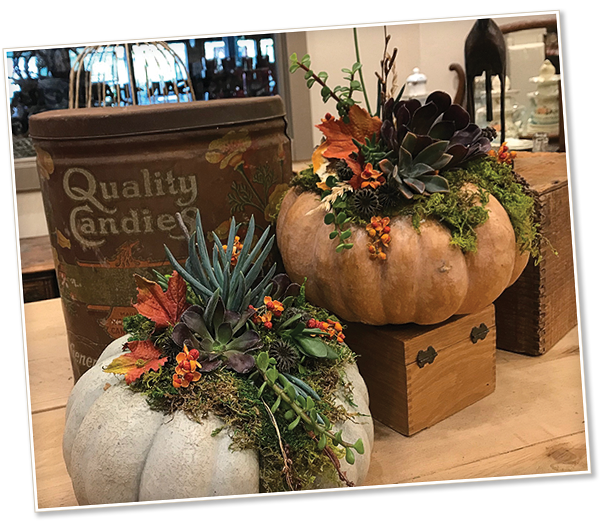 Check out Crazy Dory’s great classes this fall. 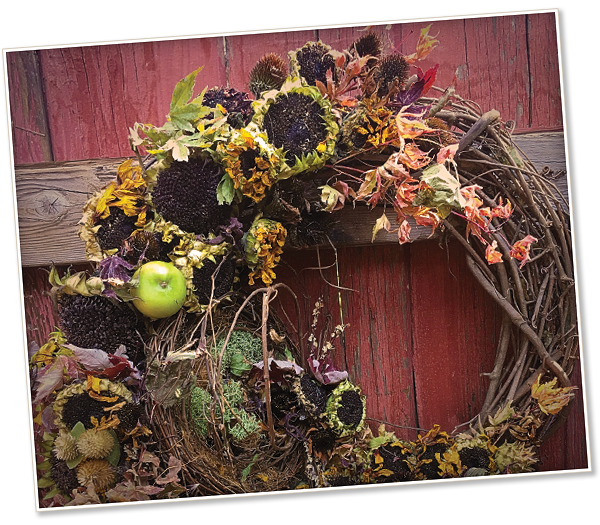 Would you like to create your own Harvest Wreath? Join us Saturday, October 6th by clicking here for tickets. Saturday, October 13th, Pumpkulents. What’s a Pumpkulent? Three great dates to choose from. Click here to sign up for Saturday, October 13th, 2018, between 10 and 12. Click here to sign up for Saturday October 27th, 2018, between 10 and 12. Click here to sign up for Saturday November 3rd, 2018, between 10 and 12. Or sign up by checking out our classes and workshop page on our website. 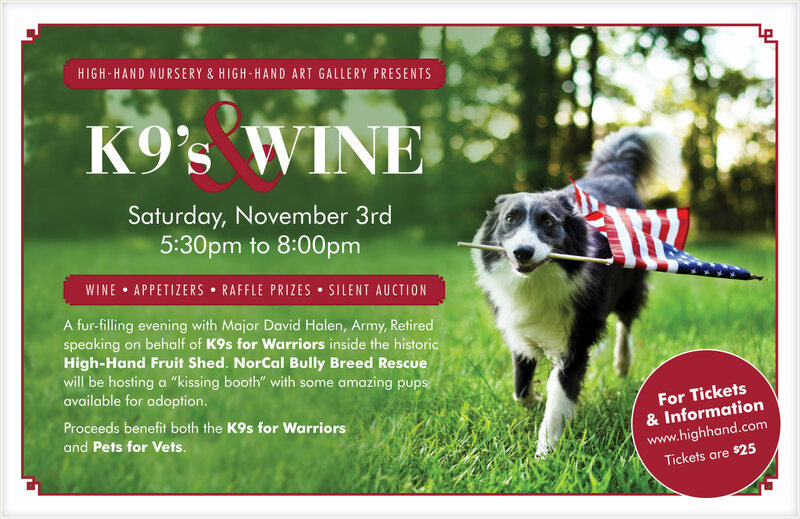 A great cause Saturday, November 3rd at 5:30 p.m.
Join us for an evening with Major David Holen, Army Retired. He will speak on behalf of K9s for Warriors. We’ll have amazing pups for adoption at the kissing booth. Tickets are $25. Hors d’oeuvres and spirits available. Tickets can be purchased by clicking here. Proceeds will benefit K9s for Warriors and Pets for Vets. It’s almost 100 degrees today and it’s officially Fall. The Great Zinnia doesn’t care and neither should you. Fall is a wonderful time for planting. Don’t tell anybody, but I plant all year round. I don’t want that secret to get out or I’ll probably get ran out of town. One other little secret. We will be having a Name Your Own Price Sale coming up on a weekend in October. That’s when we comb the nursery for all the things we’d like to find homes for and you get to name your own price. We’ll announce it on the various channels. Stay tuned. October is here. 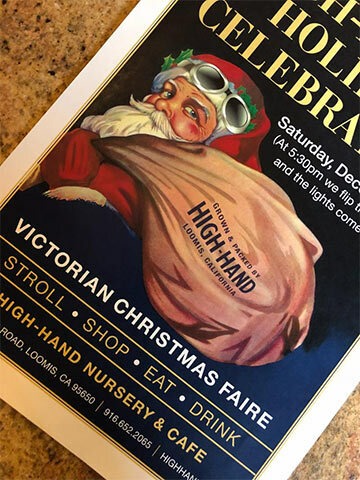 See you at High-Hand Nursery. Time is limited so let me keep my remarks short and sweet. Train Day is right around the corner, this Saturday, September 15. Contrary to popular belief Train Day is more than just trains. It’s About a Patch of Zinnias. Train Day is about so much more. It’s about live music, great food from High-Hand Cafe and strolling the garden with a cocktail. Fresh flowers will be available to cut for a small fee. Join us this Saturday at Maple Rock Gardens. See you at Maple Rock Gardens and High-Hand Nursery this Saturday. A song popped in my head today by a Canadian singer named Cory Hart. “I Wear My Sunglasses At Night.” Do you remember that? Okay, first of all why would you wear your sunglasses at night? But, believe it or not, someone wrote a song about that question and it played the airwaves in 1983. Billy Ray Cyrus. “Achy Breaky Heart”? I saw him at a concert. He played the song four times. That’s how popular it was. What do Billy and Cory have in common? One hit wonders. I’m not bagging on their careers. I’m just saying “here today and gone tomorrow”. I can only imagine the amount of money spent on marketing these songs to make them the hits they were at the time. The money these two artists made from these two songs most likely carried them for years. I guess it doesn’t matter if you’re a one hit wonder when you sell 16 million records off a single song. In the plant world we too have one hit wonders. What a beautiful plant this is. Everybody wanted it. This is loropetalum. You may not know what that is, but I know if you walked the neighborhood you’d recognize it right off the bat. Usually it grows 3-6′ and blooms pink in the spring. This little dandy came out a few years back. This is loropetalum ‘Pixie’. It’s a ground cover. We all jumped on the bandwagon. We bought as many as we could and grew as many as we could. And then, it was gone. This plant is the only one that I know thriving. I have a few at Maple Rock. They were small when they went in and they are still small. We growers got excited about the plant because everyone wanted a dwarf loropetalum. So, it got pushed to market too fast without going through enough trials. The problem was is that this plant was very hard to root and crop failures were very high as a result of it. So, growers stopped growing it. It disappeared for a few years and has come back as loropetalum ‘Jazz Hands Mini’. So, this one I think they got right. It’s root system seems stronger and has the same characteristics as ‘Pixie’. There was a tomato plant grafted onto a potato tuber. They called it ‘Ketchup and Fries’ and they sold it on the premise that you can make ketchup and fries from the same plant. Wouldn’t that be a treat? Truth of the matter is that the tomato and the potato while they are cousins ripen at different times. So, the potato ripens first and when you harvest it, what do you think happens to the tomato portion? They would have been better off calling it potatoes and cilantro. Grafted tomatoes came down the pipeline. They tried to trick Nature. It didn’t work. The thought was that a grafted tomato could start growing earlier in colder climates. I would bet a million dollars went into this research and development, as well as marketing. Why would you need a grafted tomato when you can’t even eat all the cherry tomatoes a single, normal plant produces? Have you ever bought a fruit tree sold as a ‘fruit salad’? Pretty cool if you think about it. You can go out, pick fruit and make a fruit salad. Spoiler alert – fruit ripens at different times and the plum is so dominant that eventually all you end up with is a plum tree. Do you remember the sea monkeys in the cartoon books you could buy? They wore crowns, had happy little faces and sat in the bowl and waved to you. I was so disappointed to find out that they were just little krill that looked like cloudy water. Train Day is coming up September 15th. This is not a one hit wonder. Join us September 15th. Enjoy lunch and a cocktail if you wish. Trains will be rolling down the tracks and the garden will be available for strolling. Have you ever met Crazy Dory or Farmer Ryan? This is your chance. 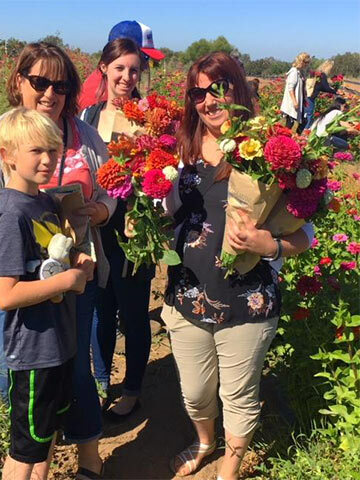 U-pick flowers will be available as well as fresh picked watermelons and cantaloupes from the fields. How fun is that? Tour the garden with a glass of wine. Crazy Dory’s #1 hits keep coming. No one hit wonder here, either. 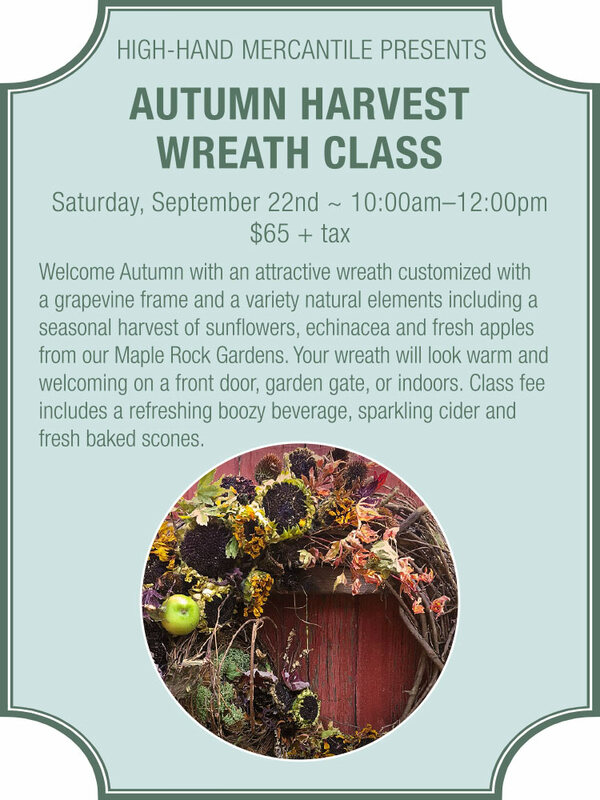 Reserve a spot now for our Autumn Harvest Wreath class. The flowers and the apples, all grown at Maple Rock, will be provided. Hors d’oeuvres and, of course, a glass of spirits. $65.00 plus tax gets you a great harvest wreath and a fun time. Want to reserve your space? Tickets can be purchased by clicking here. 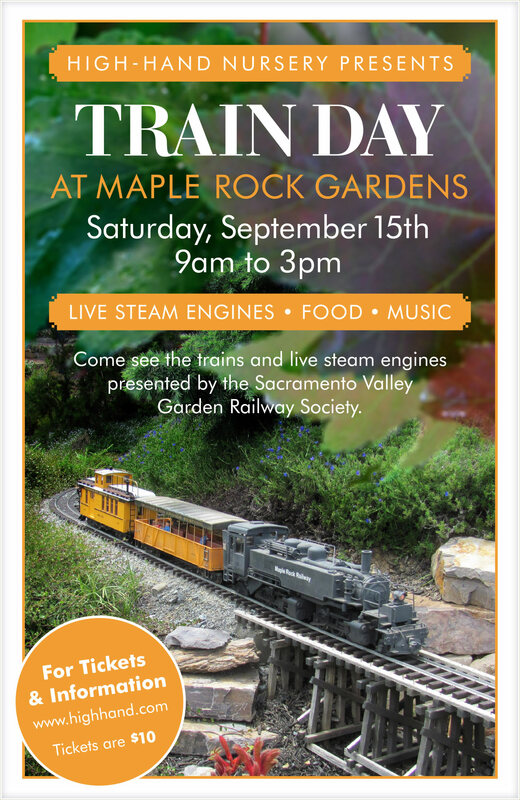 See you at Maple Rock Gardens September 15th for Train Day. Come meet Dory and Farmer Ryan. Join Dory September 22nd at High-Hand for a fun time. No one hit wonders here. P.S. With the holidays fast approaching, I’ve broken my sacred rule of not mentioning the word “holidays” until after Halloween, but for all of you early holiday shoppers, we deliver great gifts.